Immersive Virtual Reality application testing at the Zoonou test lab delivered by our expert ISTQB certified team. Helping Curiscope to test and launch an underwater Virtual Reality (VR) game on the Oculus Rift platform. Operation Apex is a virtual reality (VR) adventure game that allows users to experience an immersive and educational underwater exploration. Controlling an underwater drone you embark on a research mission to take stock of the local marine life. Following initial launch success in 2017, Curiscope were working towards a substantial update which allowed the game to be played on Oculus Rift and included a new system for moving between the game’s environments. Challenges for VR projects can be quite different to those for standard applications. Prolonged use can cause discomfort, such as headaches, eye strain and possible motion sickness. Before release, it was essential that testing took place on VR hardware with Zoonou’s manual test analysts to ensure it was functional and engaging for users. 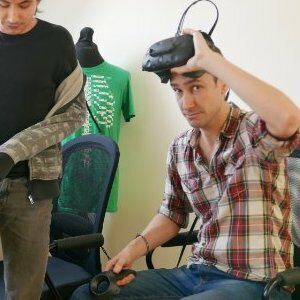 With the required VR hardware already a part of Zoonou’s extensive UK device laboratory, the test analysts conducted manual testing of the game. With a primary focus on working through the missions that form the main gameplay, the testers also scrutinised the wider game environment in pursuit of edge cases to cater for more inquisitive players. Due to issues with prolonged use, Zoonou typically executes VR testing in pairs. This isn’t just for comfort reasons though. It also allows analysts to alternate between being the player and an observer of the application while in use. The updated game launched successfully on both the Oculus Rift and HTC Vive platforms. For more information on Operation Apex, please see: http://www.operationapex.com/. For more information on Curiscope, please see: https://www.curiscope.com/. “We enlisted the help of Zoonou who helped us to ensure we put out a high standard, bug free and quality experience. We've found the right test strategy for over 150 clients. Take a look at some more of our case studies to see how we helped them.